Learn about the farm, the produce and the history of the land via harvest walks and farm tours held throughout the growing season. Dancing Crow is a small, one farmer endeavor born from a deep passion for all facets of growing food. Everything from when to begin starts in the late Winter all the way through drying and saving seeds for the following season. The farm currently specializes in growing vegetables with a special focus on leafy green vegetables ranging from brassica to salad mixes which have a unique flair. Gleaning a vast knowledge of growing plants from trial and error through years of farming in southern Florida and the Pacific Northwest delivers a unique approach to growing food. In addition, Sean has mentored with farming legends in the PNW like Erick Haakenson and Tom Wagner. With a desire for sharing knowledge with others, Dancing Crow Farm is steeped in a deep belief that we all have something to share with each other to learn and grow. A unique experience which blends two opportunities. Take a walk through the fields with farmer Sean while he picks your produce. He'll give you an idea of what is currently available in the fields and together you will embark on a small adventure. This experience is tailored to you and the food you would like to go home with. Harvest Walks are available from May - October. Contact Sean Stratman for more details or to schedule your Harvest Walk. 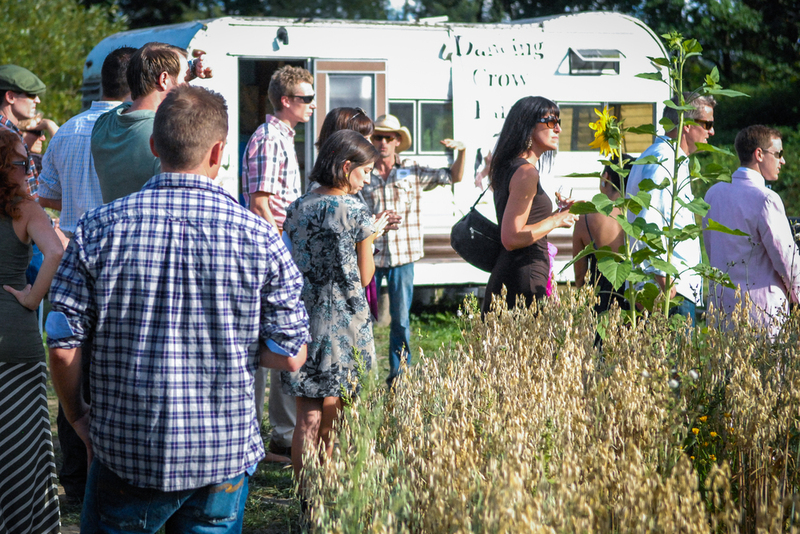 Organized through the Sno-Valley Tilth, these events are a great opportunity to see and experience farms throughout the valley and all they have to offer. For more information see the Sno-Valley Tilth site.